We had a couple of little tables with chairs. There was a full sized bed and two bunk beds. The two bunk beds were nice because it meant each child could have a top bunk. 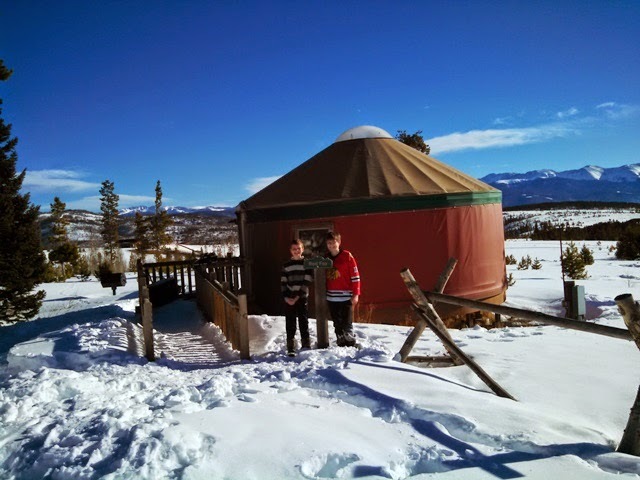 Because of snow, we actually had to walk 150 feet to get to the yurt. 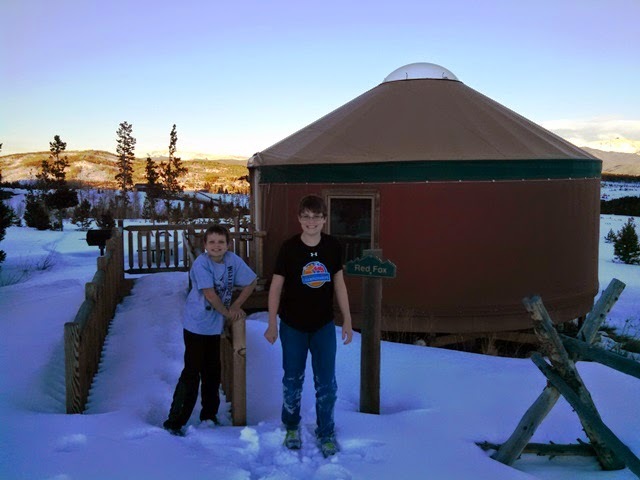 We were glad to have snowshoes as we brought our stuff from the minivan to the yurt. Quite frankly, it was awesome. It was sort of a snow-camping experience without the danger of hypothermia. 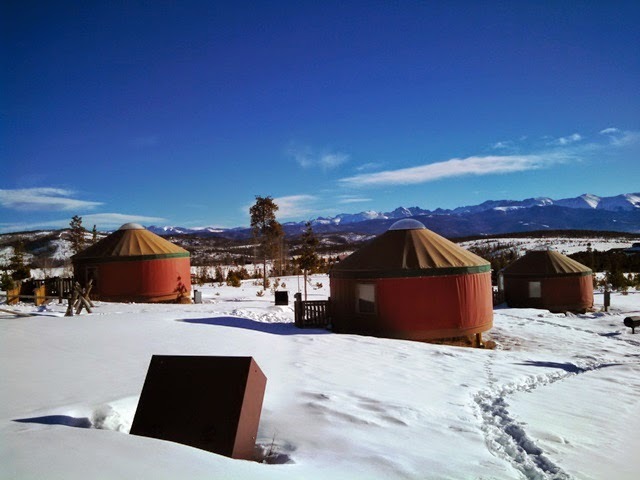 The space heaters did a fine job keeping the yurt warm enough. We had a ridiculous amount of fun playing games and laughing and just being silly. The next day, we woke up to a gorgeous day. We had snowshoed around enough that the paths from the yurt to the van and to the bathrooms were fairly passable without snowshoes. 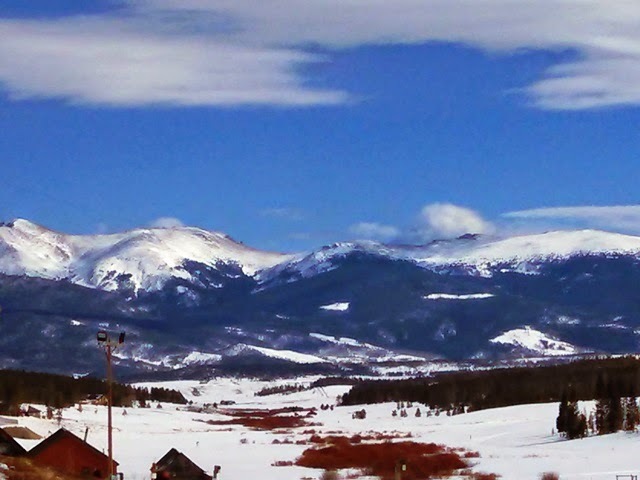 After some fun in the snow by our home-base, we headed off to Snow Mountain Ranch's "Nordic Center". 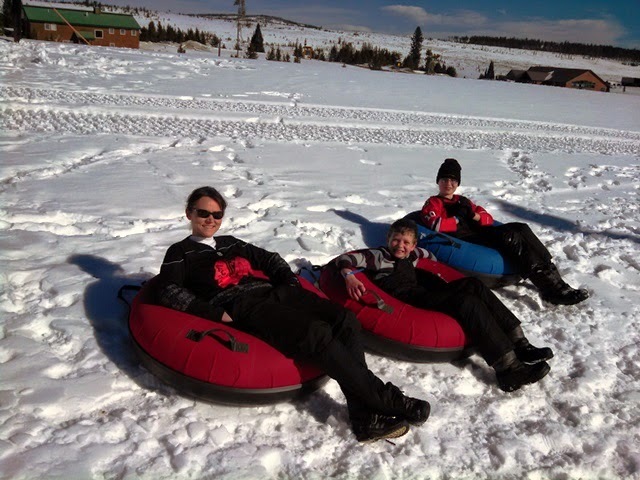 We grabbed some inter-tubes and lugged them to the Ranch's tubing hill. We spent a couple hours doing that. 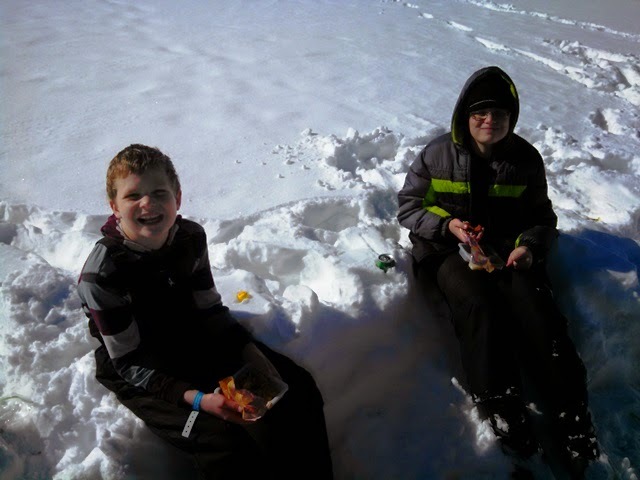 Then, we had a picnic lunch in the snow. 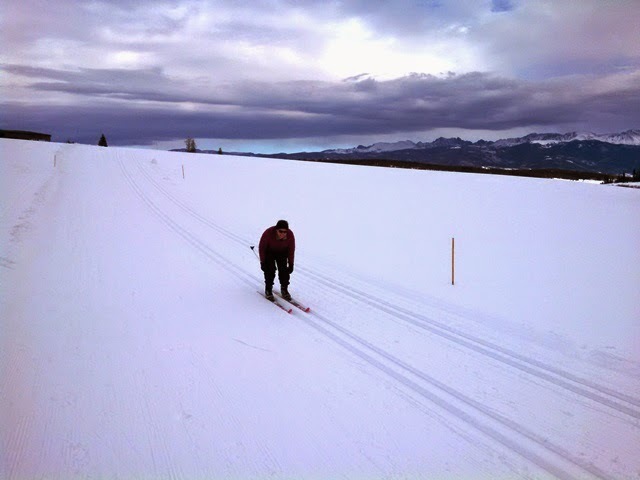 After lunch, we headed back into the Nordic Center and rented cross-country skis. 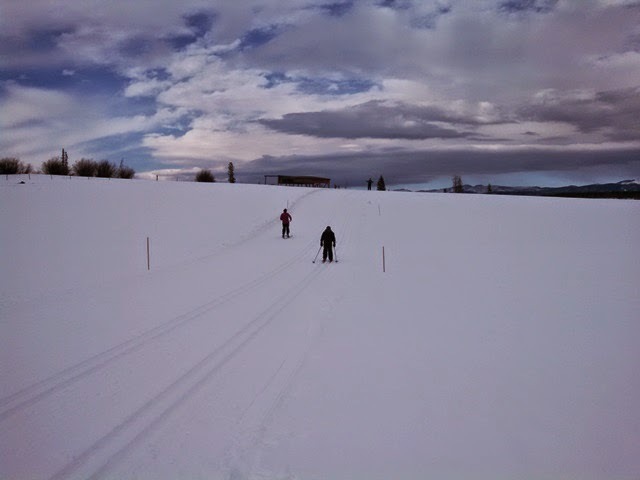 We went through an hour-long cross-country ski lesson. 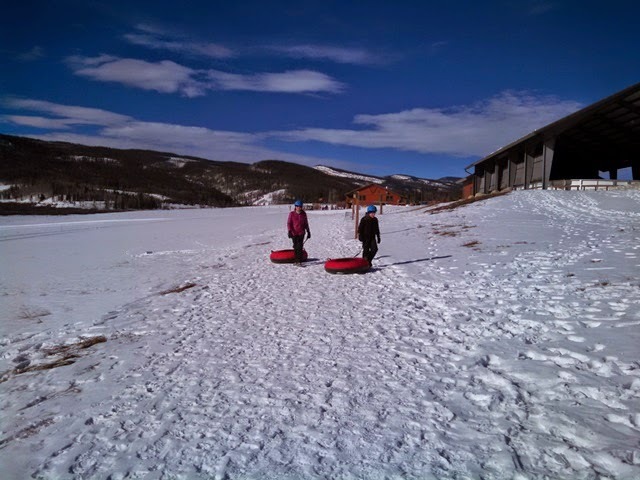 And then we practiced our newly learned skill on the Ranch's ski paths. And that was a totally awesome blast. 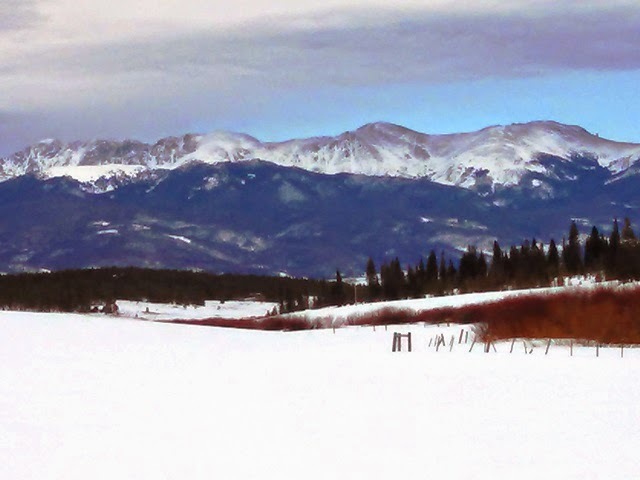 I've always wanted to try cross-country skiing, but just never got around to it. I am thankful to my wife for coming up with this idea for my birthday weekend. My oldest son and I skied longer than my wife and younger son. By the time we got back into the Nordic Center it was getting dark. This is absolutely something that we will have to do again sometime. The weekend went too fast. I wish I would have gotten more (and better) pictures. The memory will last a lifetime. And I hope we can do this again sometime. Did you have neighbors or did you have the village to yourselves? Next you'll have to stay in a quinzee (probably minus the family, or at least the beer model). We had boy scout neighbors the second night. The first night we had the village to ourselves. The Beer Model said she was glad of the noise from the space heaters so that the Boy Scouts didn't keep her up. I don't think they were actually that noisy, but I just might be better at ignoring that sort of thing. I would love to stay in a quinzee, although I would probably call it a "snow cave". I would probably want to try it out without the wife and kids to see how it went before dragging them into it ... at least the younger wife and the younger kid. Actually, if we ever get a huge snowfall at our house again, that would be great to try out in the back yard.